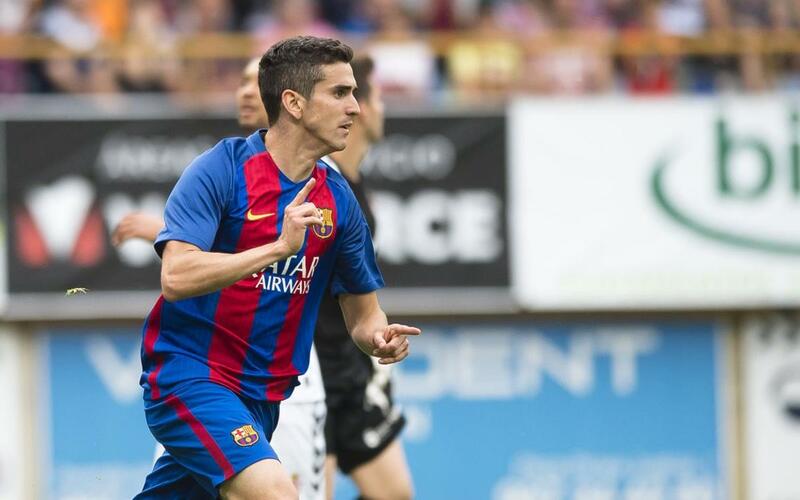 Barça B were unable to overturn the first leg deficit against Cultural Lleonesa in the second leg. The blaugranas took the lead through Alfaro in the first half and were in with a chance but the home side put in a strong second half performance to win the game and secure promotion to Division 2A. Barça B now need to successfully navigate two more knockout rounds to join their opponents in celebrating promotion. The second string knew they needed an early goal and started the match with positive intent. They were in control and looked confident and motivated. Marc Cardona went close early on with a couple of clear cut chances. Cultural Lleonesa were aware of their favourable first leg result and didn’t want to take many risks so they played on the counterattack and focused on being solid defensively. Barça continued to threaten Palatsí’s goal and they had sufficient opportunities to take the lead. They suffered a setback when Xemi went off injured and was replaced by Marlon who was in Madrid with the first team for the Copa del Rey final on Saturay. The goal came when Barça B’s Alfaro converted from a Dani Romera assist. The one-goal lead at half-time gave Barça B hope that they could complete the comeback. The break came at a good time for Cultural and when the second half started they showed more attacking intent. Barça were still the better side and could have doubled their lead when Marlon went close from a corner. Gerard López brought Perea on to give his side more of a threat on the wing. However, the second goal didn’t arrive and the opposition levelled through a Julen Colinas finish from a cross to the second post. Barça B then needed two goals, they had enough time but they suffered another setback when a Gallar free kick gave Cultural Lleonesa the lead for the first time in the second leg (2-1). This meant Barça B were unable secure direct promotion. The team will now need to go through two more knockout rounds if they are to get promoted. Barça will take on Cartagena in the next round with the first leg in Cartagonova and the return at the Miniestadi.